My work is unique in it’s medium and technique. Using “green” durable Venetian plaster, I color my medium and create an underpainting with imagery. 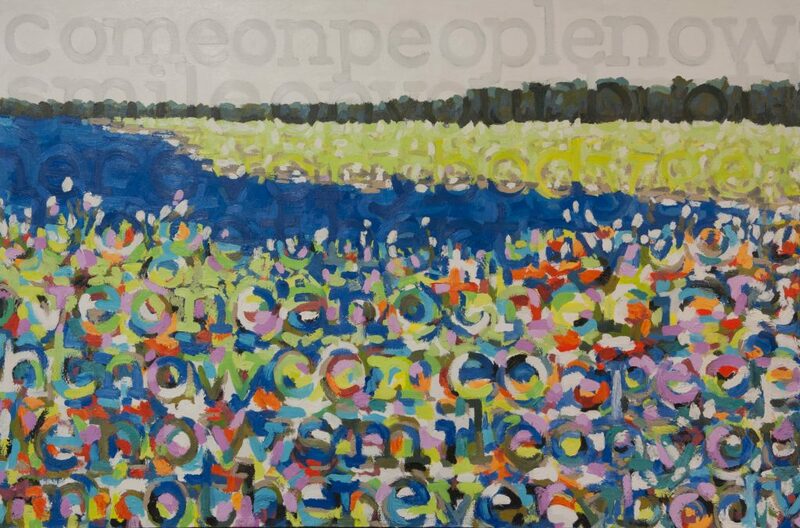 Â Using a heavy impasto application I add layers to the canvas in the form of letters, spelling out words, poetry, lyrics and quotes. The luster of the varnish that seals my work gives the look of an oil painting. My hope is to bring inspired feelings of love, hope and equality to those who spend a moment to look at my paintings.